Welcome to the Medical Laboratory Science Program! 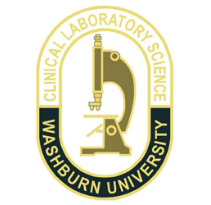 Washburn University offers a Bachelor of Health Science in Medical Laboratory Science (BHS/CLS). The CLS program, through its partnership with the University of Nebraska Medical Center, is a well established program which combines a strong curriculum with a clinical component that prepares individuals to sit for the ASCP national certificate examinations as Clinical/Medical Laboratory Scientists. CLS offers a wide variety of career options, including work in hospitals, forensic science, private clinics, independent laboratories, public health facilities, business, industry, research, sales, and marketing. Students also may use this major to prepare for Medical, Dental, or Pharmacy Schools, or admission to many graduate programs in medical sciences. Upon completion of the medical laboratory science education program, the graduate will be the health care team professional responsible for providing laboratory information that is timely, cost-effective and of high quality. The laboratory professional will demonstrate a command of medical laboratory science theory and application such that s/he develops, implements, and evaluates the total laboratory process to improve patient care outcomes.